Raven 510 is an aromatic-based, modified polyurethane. This 55 Shore D spray elastomer is recommend for use in a wide variety of above-ground applications including clarifiers, digesters, pre-sprayed geo fabric, and many others. 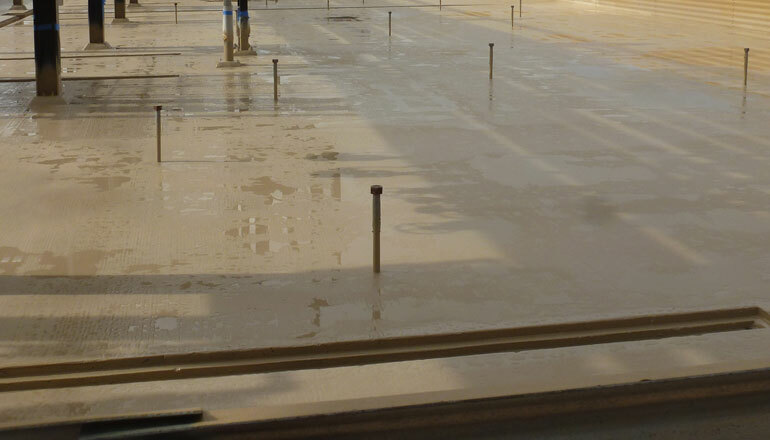 Raven Linings recommends the use of polyurethane and polyureas in above ground applications and epoxies in below ground applications. Raven 510 displays fast cure speeds, quick return to service, and can be used on concrete, steel, or wood. In addition, Raven 510 offers an 8 hour overcoat window for use in the field. The chemical resistance to most chemicals is excellent (check chemical resistance chart for specifics). Raven 510 offers five to seven second gel time and is tack free in ten to twelve seconds. This product can be applied in temperatures ranging from -20°F to 200°F. It can also be applied in > 90% relative humidity conditions with minimal to no bubbling.